​Hello everyone and welcome back to the Art of Business English. A happy new year to all my listeners. I hope your year has got off to a great start and you are full of vision and ideas. I released an episode on New Year’s Day for goal setting, I hope that you have listened to that episode and have your 2019 goal setting plan underway. In this week’s episode we are going to look at improving our communications skills in English. Do you attend meetings regularly in English? Are there times when you need to disagree with what someone is proposing? Does the thought of trying to disagree with your peers in English make you a little nervous? Well, if that sounds like you then don’t despair, for today I am going to show you a number of ways that you can disagree in English. The thought of disagreeing with someone can make some people feel a little uncomfortable, and sometimes if we are not careful, we can offend people. Remember, we need to be tactful in English and try and not be too direct. Right, let’s get things started. The first thing you need to understand in English is that we tend to speak less directly than in Spanish. If you are a non-native English speaker, this can mean that sometimes you are too direct with your clients or colleagues. This can sound rude and we should always try and avoid being rude. Let me give you an example. Lo siento, pero me temo que no estoy de acuerdo con esa idea. If we translate that, it might sound something like this. Sorry, but I’m afraid I don’t agree with this idea. This in English sounds OK, it’s not overly direct as we have used the word, I’m afraid, which means I’m sorry. However, an English native might say something like. Sorry, but I am not sure if that is a good idea. Obviously, we think that it is not a good idea. However, we have used a couple of techniques to soften the message. Firstly, you say “I’m not sure” meaning you put the focus on you and not on to the person who raised the idea. Secondly, we have negated with not, our opinion and thirdly. We have used a positive adjective “good” to refer to the idea, instead of saying “bad idea” with a negative adjective. These are two small techniques we can use to soften the message. Let’s take a look at some other expressions we can use to soften our opinion. I’m afraid, I don’t see how this idea can help. I’m sorry, but I think we will need to investigate before committing. To be honest, you have raised a good idea, but I don’t see how it will work in practice. To be fair, I’m unsure of how this would work in practice. You’ll notice that in each of the examples, I am always referring to the idea and not the person who put the idea forward. The second strategy we can use to disagree with someone is to compliment or acknowledge positively the idea and then move on to politely disagree with it. Let’s take a look at how this works in practice. I think you have raised a good point, but I’m not sure how it would be feasible. That is an interesting idea, however I think we need to give this problem more thought. Thanks for raising that, I can see you’re really giving this problem some thought. However, I’m not sure how this idea could work in the day-to-day business. That’s a great suggestion, but I feel we don’t have the necessary time to implement it. As you can see, here I am complimenting and thanking the person for their ideas, and then following up with the rebuttal. Remember, anything that comes after “but” or “however” is what is recalled by the listener. We use “but” to contrast between ideas. People naturally and sub-consciously accept that what comes after the word “but” is your actual opinion. OK, let’s take a look at how we can disagree more strongly with someone. At times there will be the need to be firm with someone and make it clear that you disagree with them. Being firm is fine, however being rude is not. So, we always need to remember that we are dealing with people and people have feelings. The golden rule that I am sure your mum taught you is, “speak to others how you would like to be spoken to”. Right, let’s take a look at some expressions we can use to disagree firmly. John, I totally disagree with your last point. No, that option is out of the question. That option is unacceptable considering the circumstances. Are you honestly saying we should fire him? Let’s break down these points. We can use “totally”, “completely” or “firmly” in front of disagree to make our objection to the point even stronger. In the second example, we are using a very typical expression in English, “To be out of the question”. If something is out of the question, then it means that it is impossible and not even something that should be considered. In the third example we are providing some reasoning for our objection. If we want to make our ideas stronger then we should always try and attach an example to them. This is a great skill to learn for all students who wish to improve their communication skills. Let me give you another example. “Sorry John, I can’t accept that option because it would mean exposing the company to unnecessary risk which I am not willing to take at this time”. See, super clear and even though it is direct and firm, it is still not rude. I have led by saying sorry, then I have used the person’s name that I have their complete attention and then I follow with “because” and my reasoning. The third and fourth examples I gave earlier are pretty straight forward. The 5th option is using the negation “not” and then the positive verb form “agree”, which is a little less direct but also very clear. In the final example, what I am actually doing is asking a question. What this question style actually transmits to the listener is that I am surprised that they could even consider this as an option. Technically it is not a real question as the answer or idea I want to convey is that this is not a good idea. Let’s move on to the last part of the episode. Here in the last part I would like to get you guys to practice some of these expressions in context. In the first part I would like you to disagree politely in the following conversations. Example: I’m afraid I don’t fully agree with you on that one. John: Why not? Analysists are predicting global funds to drop by 20% this year. Example: I have read the analyst reports, but property prices are too hot at the moment. OK, now that you understand how to disagree let’s practice these together. In the first round we are going to look at how to disagree politely. Mary: I think making the investment in company X is a good idea. Tony: We should aggressively expand into the Chinese market. Belinda: I think we should hire candidate B. In the last example, I want you to thank the speaker and then disagree. You can use one of the following expressions, “You have raised a good point”, “That’s an interesting idea” or “Thanks for bringing that up”. Mark: If we invest in expanding our sales team then we could capture more business. 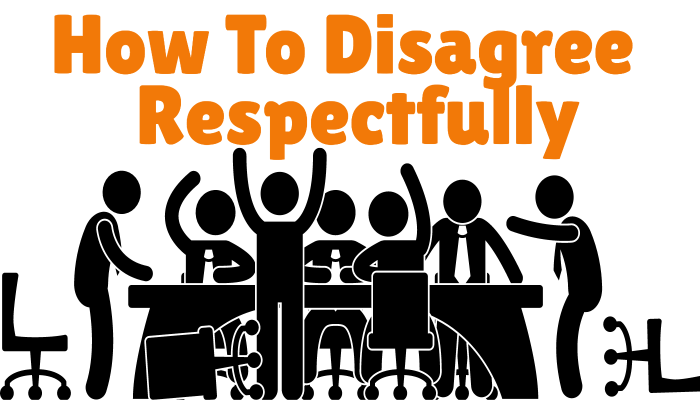 OK, now that we have our disagreeing politely practice done, let’s look at practicing how to disagree more firmly. Mary: I think selling off a part of the business will generate the cash we need. Tony: We should acquire a small business in Turkey to help us expand quickly. Belinda: I think we should fire 5% of our workforce to reduce costs. In the last example, I would like you to create a question in response to the example sentence. Christian: I think a Koala should be the logo for our new range of bags. There you have it. How to disagree in English both politely and firmly. Well my friends, that brings us to the end of another episode of the Art of Business English. As always, I hope that you have found this episode useful. Remember to head over to YouTube and check out the video I have uploaded, it will help you to do some of the practice exercises from the episode. In 2019, I have got lots of great things planned for my listeners, but if there are any topics you would like me to cover specifically then please do not hesitate to let me know. This year we will be adding a bunch of courses to the Art of Business English platform and we will be releasing more useful material and eBooks to help you improve your business English. In the meantime, stay tuned, grab yourself a copy of our 500 collocations eBook and start your 2019 of with a strong commitment to improving your business English. Remember, I am here to help so just send me your questions. That’s all from me then until next week. Take care and I hope you have a great week. Bye for now.